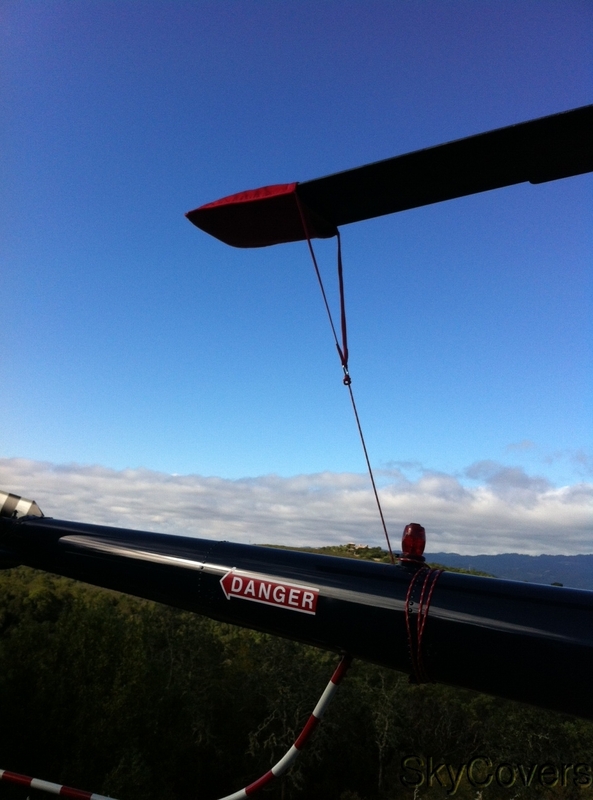 Robinson R22 and R44,R66 Blade Tie-Downs. 2 pc Set. You get the Front Tie-Down and the Back Tie-Down. Ties with Marine Grade Rope attachment system. Made of Red Weather Max Material and lined on the inside for no scratching. Please choose from the R22 Set or the R44,R66 Set.